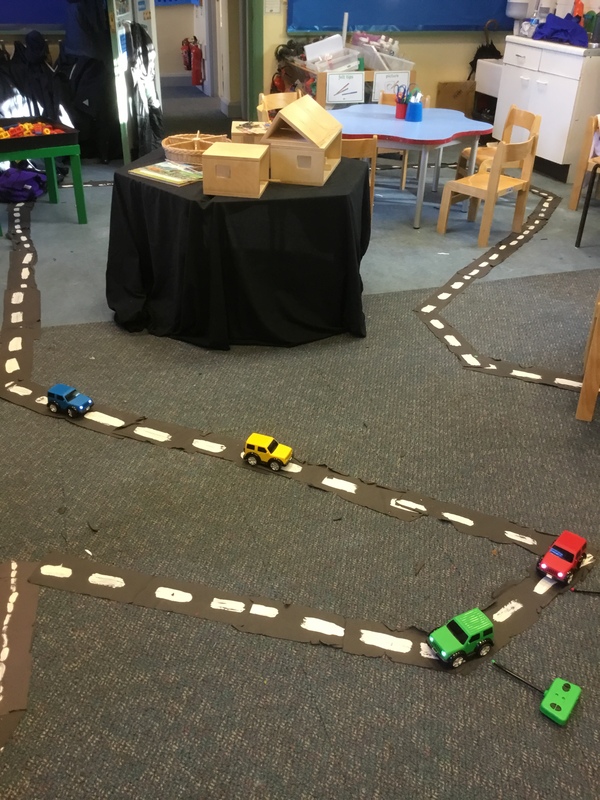 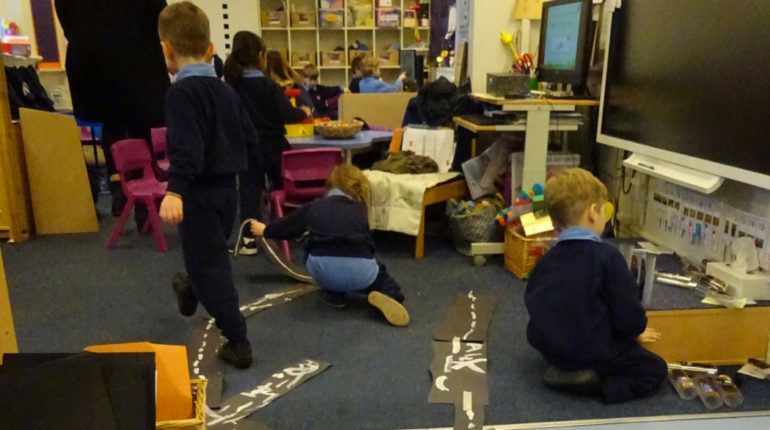 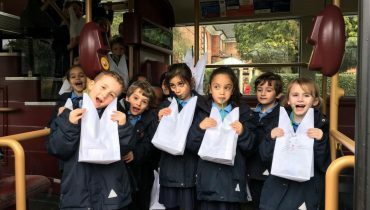 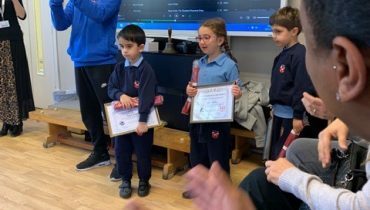 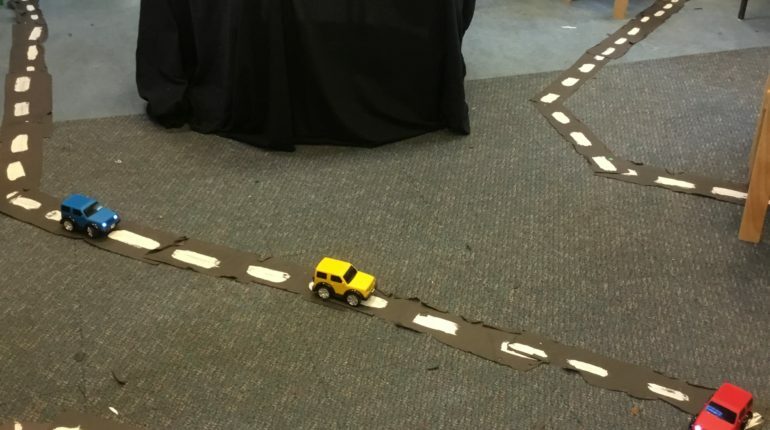 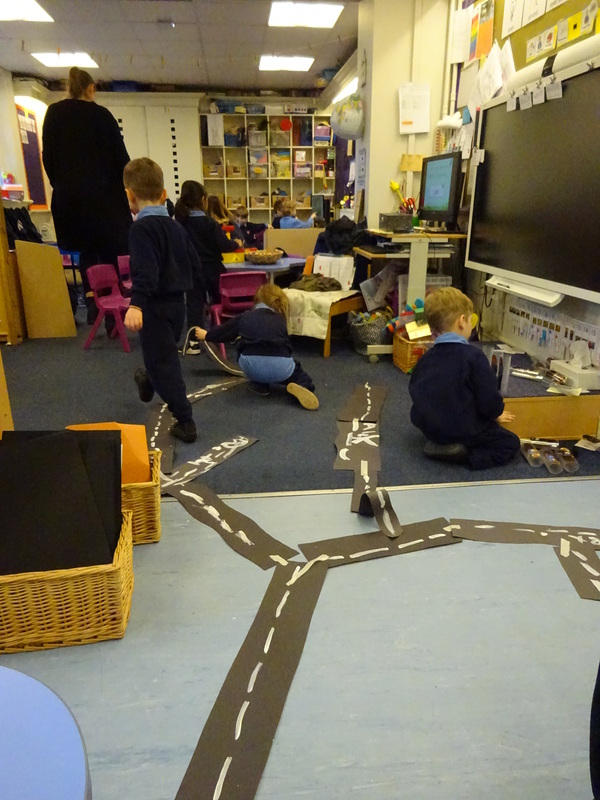 Reception children have had a busy week inventively making roads in all the classrooms; made out of strips of paper, painted with markings and stuck to the floor and workspaces. 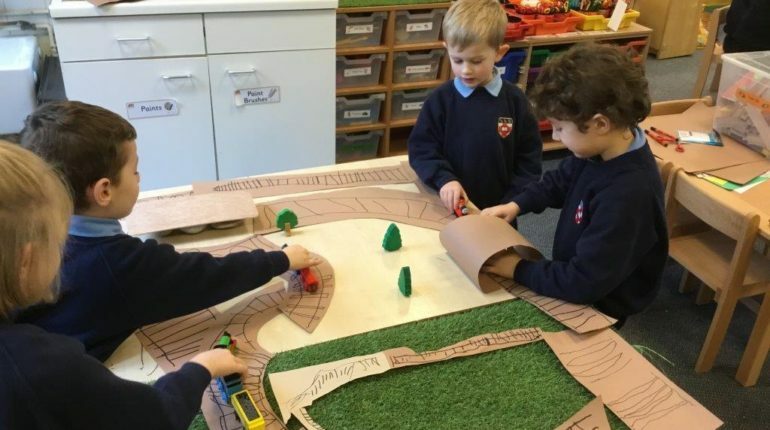 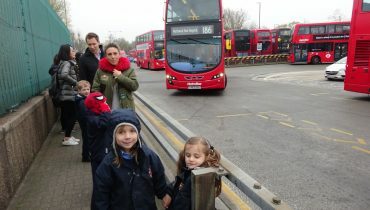 The focus this week was looking at different types of vehicle and we have been teaching the children to make comparisons between them spotting not only differences but similarities too. 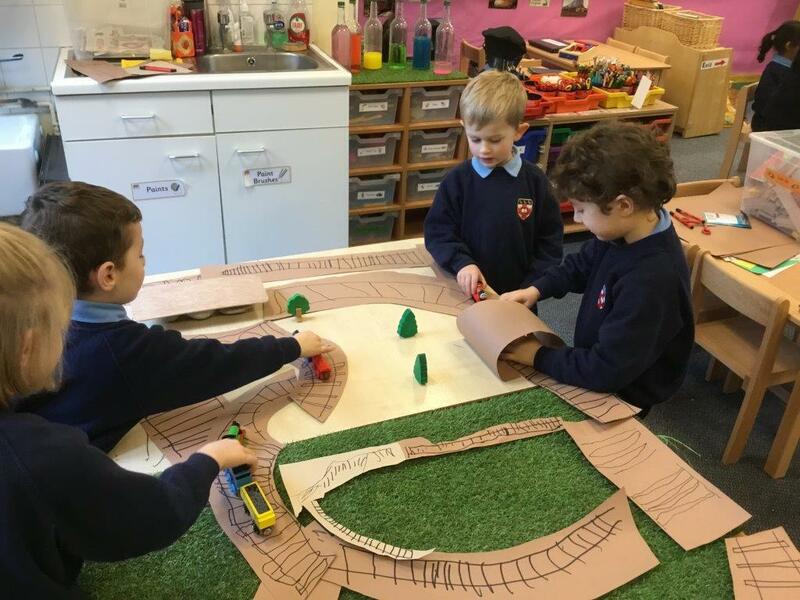 We have also been exploring outside where we have set up a garage to service the many scooters racing round the track and large boxes to offer a more open ended play.